South West Florida's is famous for its series of fresh-water rivers and brackish estuaries. Tarpon, snook, snapper, jacks and other species utilize these fertile waters for feeding and spawning purposes. The nutrient-rich rivers also dump a wealth of biomass into the ocean which is utilized by zooplankton, crustaceans and baitfish, providing a veritable smorgasbord for game fish. An experienced, fourth generation commercial fisherman in the local Florida Waters, Capt. Mills will guide you through Boca Grande Pass in search of the world's most spectacular game fish, the mighty silver king, the tarpon. With room for four anglers, Capt. Mills' boat "Tracy Lynn" is an excellent vessel for drift fishing. Captain Willie also conducts Back Bay Charters beginning in Febuary. His Proline is the perfect vessel for this type of fishing. He puts 100% of his energy into each and every charter and enjoys taking fishermen/women of all skill levels. In August, Captain Willie Mills will be fishing out of Mexico Beach, Florida! 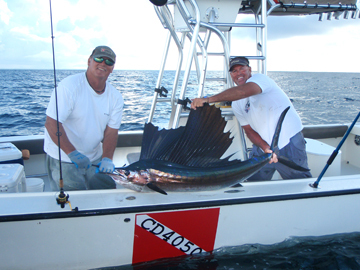 He will have charter trips available for KING FISH, tarpon, grouper, mackerel, and redfish. In 2011, Willie "tested the waters" up in North Florida, and found that Mexico Beach is a largely undiscovered fishing haven! Much like Boca Grande prior to its development, Mexico Beach is a lovely resort town filled with colorful locals, pristine beaches, and incredible fishing! Once the season dies down in Boca Grande, Captain Mills, along with Captains Eddie Potter and Marty Scott, will all be fishing these upstate waters. Book your trip now!